She can influence experience goods. As you think about branding, it’s useful to think about your goods (products or services) in one of three categories: search goods, experience goods, or credence goods. Search goods are products whose “fitness” you can judge simply by looking at them. You can look at (and perhaps feel) an apple to tell whether it’s ripe and fit for purchase. With search goods, you can assess both the price and the value before you purchase it. Is it sturdy enough? Ripe enough? The right size? The right color? The right price? Search goods typically are products rather than services and they’re more likely to attract price competition and substitution. If you can evaluate products simply by looking at them, you can fairly easily decide if you want to substitute one for another. If you’re the price leader in a search good category, you’ll probably want to brand around your pricing. If you’re not the price leader, you’ll want to brand around other attributes, including secondary attributes. You may want to brand around the channel (“convenient, easy-to-find”) or the source (“a manufacturer you can trust”), longevity (“since 1916”) or geography (“Made in Boulder by Boulderians”). Packaging is also an important element in branding a search good. You want the packaging to stand out during the search. Experience goods need to be experienced to understand how well they fit your needs. A bottle of wine is a good example – you can’t tell how good it is just by looking at it. You can identify the price but not the value. With an experience good — much more than a search good — you may assume that the price indicates the value. You can only ascertain the value by consuming (experiencing) the product which, of course, happens well after the purchase decision. For this reason, experience goods typically have less price competition and elasticity. Indeed, a low price may be a subtle signal that there is something wrong with the product or service. Branding an experience good often depends on reputation and word-of-mouth. People who have already consumed the product can provide useful testimony to those who are considering the purchase. This only works, of course, if the previous consumers are credible. Longevity may also play a role as potential consumers may assume that a well-established, long-lived brand offers more value than an upstart. With credence goods, you can’t judge the value even after consuming the product or service. What’s the real value of your college degree? How successful was your hip surgery? Was it worth the price? Would it have been more successful if performed by another surgeon? There’s no basis for comparison with credence goods. In some ways, they’re faith-based products. You need to trust your supplier. As The Economist points out, the more credulous you are, the more likely you are to be overtreated or overcharged. 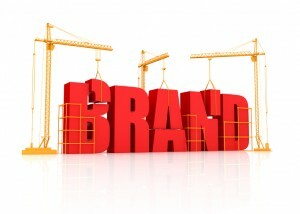 In branding a credence good, previous consumers can be important but only up to a point. They can’t accurately judge value either. Let’s say a patient had the same surgery you’re considering and says he had good results with Dr. X. But how would he know if he might have had better results with Dr. Y? There’s a limit to the witness’s credibility. For this reason, marketers of credence goods often add third-party ratings agencies (or government institutes) into their branding mix. If a neutral board of evaluators gives Dr. X a grade of 95% and Dr. Y a grade of only 94%, that’s a powerful brand differentiator for Dr. X. Note that this is true even if the differences (95% versus 94%) are small or if the rating scale doesn’t really measure what the consumer thinks it does. Most consumers rarely investigate the inner workings of third-party evaluations. A wise consumer evaluates the evaluator. 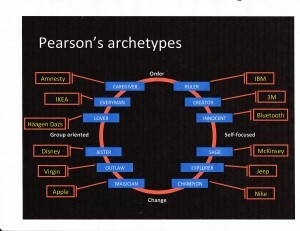 (I adapted this from Kevin Lane Keller’s excellent textbook, Strategic Brand Management).